Gold Series Coolaroo residential outdoor roll-up window sun shades incorporating poly vinyl chloride Coolaroo breathable fabric known for its durability and good looks. The Gold Series sun shades also utilize the more expensive and smoother operating system that is a continuous loop roller clutch mechanism with stainless steel tie downs that are built-in to this model to provide long lasting wear and extra protection from the elements. The PVC Coolaro fabric is more weather resistant than the HDPE fabric and even more resistant to mold, fade and mildew but best of all it's especially resistant to the sun's harmful U.V. rays and provides a perfect blocking fabric from the suns heat. This ultra-durable fabric comes with an extended three year warranty. This is an eye-catching fabric sized from 4 feet x 6 feet on up to 10 feet x 6 feet for those extra wide patio doors that also need some protection. The Gold Series window shades all come standard with an eye-pleasing desert sand color. 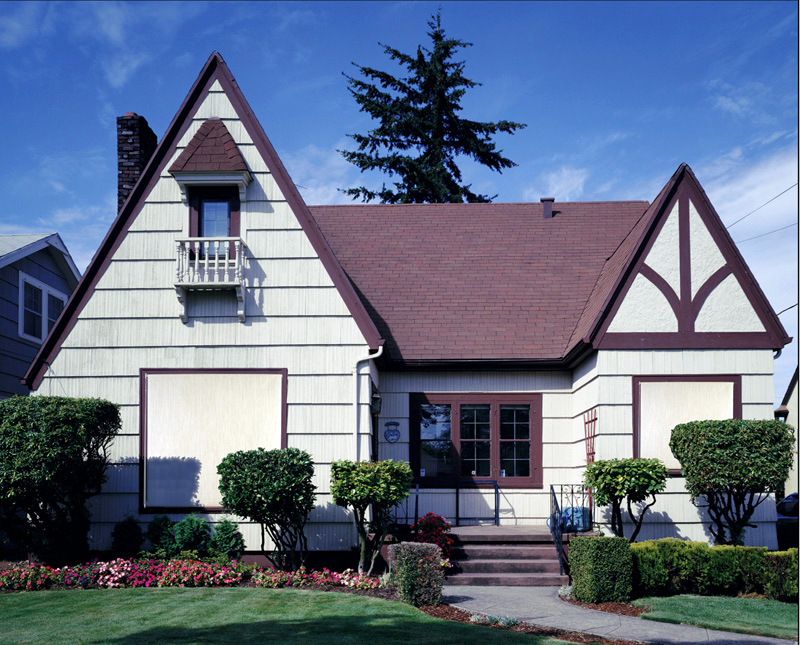 These roll-up window shades are an ideal solution for over windows, attached to the front porch. These sun shades can serve as a covering for a patio door, functioning as a sun block / privacy screen or just about anywhere that you would like to cut back on the sun's rays. The added bonus is that you will find these window shades a very attractive exterior accent to your home.